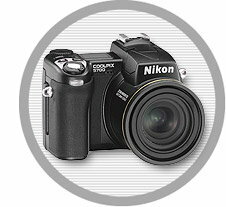 What digital camera do you guys take pictures with? I'm also looking for a new dig cam. What's the minimum mega pixel I need in order to print on a full 8.5" x 11" paper? In other words, I'd like to take advantage of the high mega pixels of a dig cam for a 8.5" x 11" paper but I don't need to print out anything bigger then that size. I was thinking about the Canon G3. Thanks! 1600x1200 is usually the recommended min resolution for a 8x10. You should use the highest possible mega pixel for the clearest picture. [B]I'm also looking for a new dig cam. the G3 is a great choice if you're not on a budget. since you'll be printing, i do not recommend anything under 4 mega pixels. i take all my pictures at 2272x1704 for that specific reason as i do flyers and business cards. printing needs to be done in 300dpi (dot pixels per inch) which means very HIGH resolution. i'm currently using a canon s45, and i love it. if you search on s2ki you'll see some of the pics i recently took. some advice, SHOP AROUND! i cannot emphasize that enough. also, i think you should learn adobe photoshop a little. just to get familiar with the brightness / contrast to help when lighting is crap. I am using Nikon 5000, because I can use multiple lenses, which is rare in digital cam.... (Wide angle, 3xzoom lens, and 180Deg lens).. as I am an architect. it is useful for interior shots, and landscape..... inaddition, Nikon has the best lenses in the market, which u can posses for the next 10 years. it's my best investment in cam. BAD= Battery does not stay for long. so U need another one, somehow difficult to navigate quickly when U need the right shot. 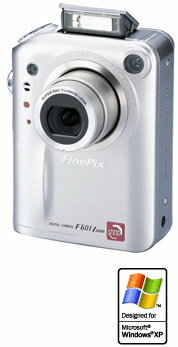 3rd was the FinePix F601 Zoom Digital Camera.... It is small...... has the Super CCD, which is hexagonal pixels ,.,, not Squary like other CCD's.... But it does have any lenses to play with.... It is 3.1 Million Effective Pixel Super CCD .. don't be fooled by the (6.0 Million Pixels).. it's just because of the CCD. they had double the number.. If it helps.. please add a pic of the cam that you like, so people who are not familiar with the Model number, they can see the shape.. 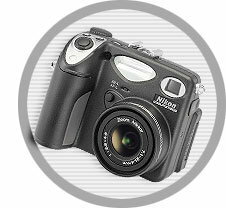 I have used a Fuji FinePix 2650 for well over a year. The value can't be beat, IMHO. I paid about $299 brand new and they are now selling for $199 and less. Before Christmas, Target had them for $148 or something close to that. I plan on upgrading soon, birthday is in February so I suppose that's when I'll see a new one. You won't be disappointed with the 2650. I have literally taken thousands of pictures. The zoom is great, the display is fantastic and on a 64MB card, I can easily take around 80 - 90 high res photos. I've used it in all kinds of conditions and it has survived more than 50k miles traveling in an S2000. [B]I am using Nikon 5000, because I can use multiple lenses, which is rare in digital cam.... (Wide angle, 3xzoom lens, and 180Deg lens).. as I am an architect. it is useful for interior shots, and landscape..... inaddition, Nikon has the best lenses in the market, which u can posses for the next 10 years. it's my best investment in cam. Quick Reply: What digital camera do you guys take pictures with?